Is $1 million enough to give up your day job like Terry Grove did? This following Lotto Life Poll reveals something surprising about the amount of money winners think they need to leave their jobs. You'll see nearly a third of you would leave your jobs for just a one-million dollar lottery win. Unfortunately in today's expensive world that amount is not nearly enough to tell your boss what you think of them. 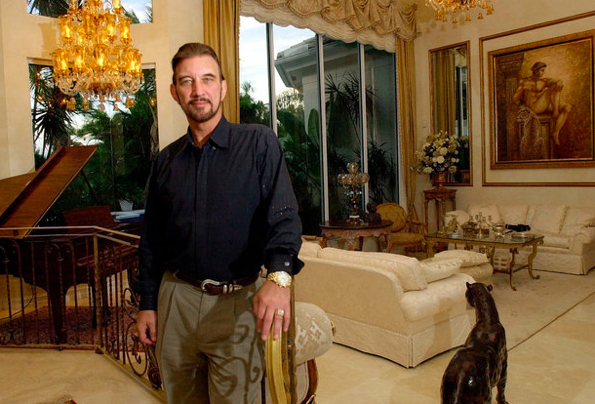 AT HOME: Powerball winner David Lee bought this home in Florida. He won $27 million. There's almost $600,000 gone that they'll never get back. So how will the balance of $400,000 give anyone a job-free life? If they invested that $400,000, it may give 6% interest back, around $24,000 a year. Take off taxes of 25%, that leaves $16,000 a year, or around $300 a week. Could you live on that? Most people couldn't. Look at the practicality of leaving your job. There's a growing trend today for lottery winners to stay at their jobs. They give a wide range of reasons, from avoiding boredom to keeping in contact with their workmates. For many workers their job is more than a way to produce income - it's away of life that they would miss. Unless you really hated it, a job or purpose is necessary for a balanced life. It gives most people workplace friends, a sense of involvement and a pride in work done. All these things are essential for a happy existence on this planet, pyschologists agree. Many winners have left their jobs after a lottery win of $1 million - only to return to work soon after. Luke Pittard went back to work soon after winning £1.3 million. Luke Pittard, a British fast food worker, won £1.3 million (US$2.1 million) and quit his job, spending large on lavish trips, a wedding and a house. But he returned to work at McDonald’s within 18 months. "There's only so much relaxing you can do," said the affable Welsh-born staff trainer for the food company. The stories you hear about big money winners getting bored after 6 months of enforced leisure, missing the position and contacts they had - and then returning to work? It's all true. But if $1 million is not enough, what is? Some financial advisors say $10 million is the minimum for retiring happy for the rest of your life, but most people could exist on $5 million if they really had to. How does that influence the way you will play in the future? Like me, you might prefer to play only when the jackpot reaches a certain level. At that time you should invest in more tickets than normal and let the Silver Lotto System increase your winning chances. Who knows - you could soon be willingly out of a job!